We are manufacturers and suppliers of technically advanced Bitumen Mixing Machine 10TPH to 150TPH. These machines are designed using premium quality raw materials and meet industry defined parameters. Our range is well known for high performance, durability, smooth functionality and easy maintenance. We offer our range to our clients at industry leading prices. 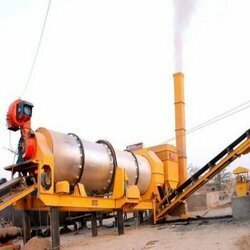 Looking for Bitumen Mixing Machine ?